The Champagne House Pointillart has a lineage composed of 4 generations of winemakers. Ernest POINTILLART was the first to grow vines.  In 1946 my grandfather Jean created the Pointillart et Fils Champagnes. Then my father Philippe expanded the House and focused on the commercialisation of our wines. Since 2006 I have been proud of running this 6-ha estate located in the West of Reims on the terroir of Ecueil, a village classified as Premier Cru. This heritage of expertise and of Champagne traditions have enabled us to keep track and a regular quality of our Champagnes passed down over several generations. Our parcels are worked with patience and passion in order to respect the environment. We are using an integrated viticulture (parcels covered by grass and ploughed). The attentive care brought to our vineyards make our Champagnes rare and expressive wines marked by their terroir. The vineyards of the Montagne de Reims - characterised by its horseshoe shape - spread over a length of about 25 km and a width of about 10 km. In the South West of the «Cité des Sacres», between the villages of Sermiers and Villedommange, you will discover one of the most beautiful landscapes of the whole Champagne. A real cornice of small villages nestled in the hollow of the hills. Our vineyards are planted in a valuable chalky soil and are classified as Premier Cru. The 3 Champagne grape varieties are used to elaborate our wines: Pinot Noir and Pinot Meunier (black wine grape varieties) and Chardonnay (a white one). The harvest, which takes place in September or early October, provides convivial and bucolic scenes. The reason? As Vignerons Champenois we have managed to preserve these traditional and ancestral values. Values you will also find in the cellars where our know-how is passed down through generations. It enables us to ensure the full development and aging of our Champagnes.